Today you will start by visiting the most famous temple of Chiang Mai, Doi Suthep. 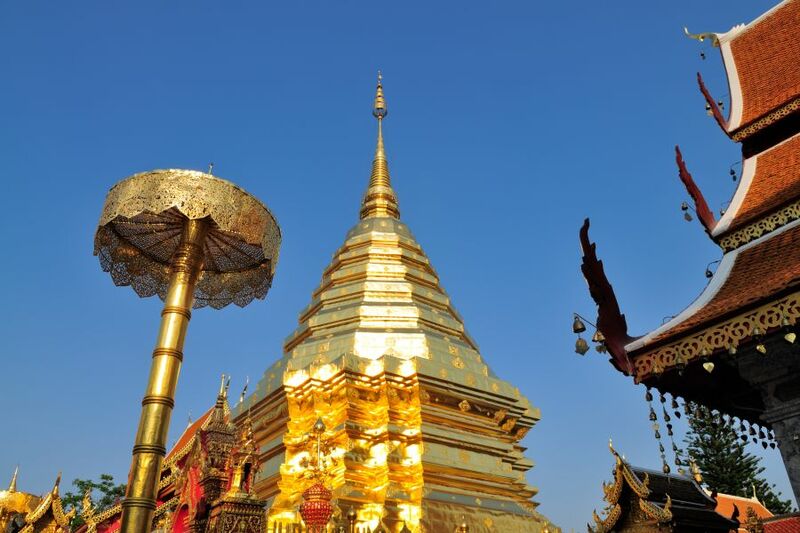 Situated on the hills overlooking Chiang Mai, the temple offers a panoramic view of the area. From there on, continue to a village that builds their houses on top of a mountain. After lunch we visit San Kampaeng, Chiang Mai’s most extensive collection of handicrafts and art shops. At last count, over 70 stores and factories were selling silverwork, woodcarvings, lacquer ware, leather products, gems and Thai silk. Together they form the greatest concentration of handicraft industries in South East Asia. Whether you buy anything or not, visiting these factory work shops is an experience worth the trip. At the end of the afternoon you will be dropped at your hotel in Chiang Mai.